We are delighted to announce that we are 2017 WISE Awards Finalists! The World Innovation Summit for Education (WISE) rewards organisations for their innovative and impactful approaches to today’s most urgent education challenges, and we are thrilled to be recognised alongside some very impressive projects. This blog post was originally posted as an article on the Adventures on the Bookshelf blog – you can read it here. Create your own OBP book with OBP Customise! Did you know you can create your own books using OBP content? This can be as simple as requesting a customised cover for one of our existing books (OBP Personal), but we can also work with you to create a volume that samples different chapters from various publications, complete with a new introduction and cover. Recently, the International Philosophy Olympiad ordered 400 customised copies of our anthology Tolerance for their conference on the same theme. 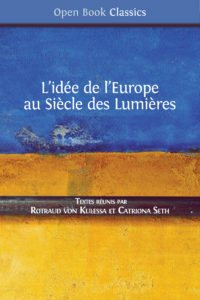 The books had a cover customised with the conference branding, and each delegate received a copy as a keepsake of the event. We have also produced bespoke copies of The Universal Declaration of Human Rights in the 21st Century, with an individual dedication page for each member of the Global Citizenship Commission. 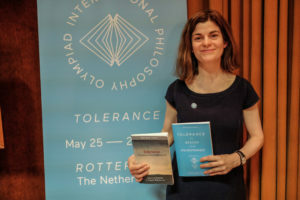 Our author Caroline Warman at the International Philosophy Olympiad 2017 with a customised copy of Tolerance.